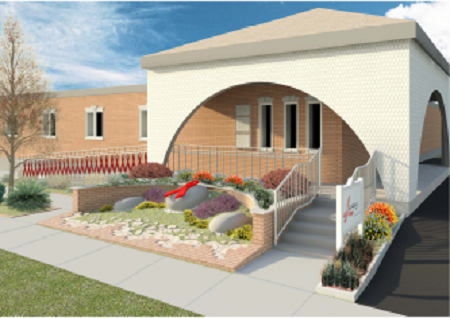 All donations and bricks purchased will go towards the completion of the Catherine Kennedy Memorial Gardens and the continuation of services to those living with HIV and AIDS. Please help us honor the woman who was strong enough to fight back and all of those who supported her mission along the way. Your contribution will ensure that you will be a part of this lasting legacy here at Leeway. We appreciate your support and look forward to continuing our care for those living with HIV and AIDS in the community. Since 1995 Leeway has succeeded in helping individuals with HIV/AIDS renew, revive, and reclaim their lives has been nurtured by the legacy of our committed donors. Making an outright gift to Leeway allows your donation to be put directly to use in the community at 40 Albert Street and programming for our residents. For questions about making a donation to Leeway, please e-mail us (info@leeway.net) or call the at 203.865.0068. Catherine Kennedy possessed a magic that endowed everyone with dignity. Leeway, Inc. established the Catherine Kennedy Foundation to honor her legacy and make sure that the organization could flourish far into the future. As the needs of individuals living with HIV/AIDS evolve, Leeway must always be at the ready to adjust our activities to best serve these needs. The Catherine Kennedy Foundation allows us to make those adjustments. It also enables our staff to participate in training and education opportunities to ensure the highest quality of care and the most up-to-date techniques. The Foundation supports the care of our facilities with capital projects that improve our service delivery and the quality of life at Leeway. Make a donation to the Catherine Kennedy Foundation; give one gift, create infinite possibilities at Leeway. Give in Honor or in Memory of a Family Member, Caregiver or Friend. A gift to Leeway is a meaningful and enduring gesture to remember a loved one, honor a friend or family member or thank an outstanding caregiver. Many companies match charitable gifts made by their employees, retirees and directors. Please consult your company’s human resources department to learn how your workplace matches charitable contributions to non-profit organizations, and how you might be able to increase the value of your individual donation in this way. Volunteer your time. Having fun and finding enjoyment in life is as critical as the quality of care at Leeway. Volunteers help in many essential ways. In order to reach our goals and achieve our mission, we need you! Opportunities include working with our residents (reading, teaching a skill, going on an outing), volunteering with mailings and office work, working on a fundraising committee, and much more! We need volunteers throughout the year to help with our programs. If you are interested in learning more about volunteer opportunities please contact us at info@leeway.net. COME IN FOR A TOUR TO LEARN MORE ABOUT LEEWAY! For more information or to schedule a visit and tour of Leeway, please contact us at 203-865-0068.